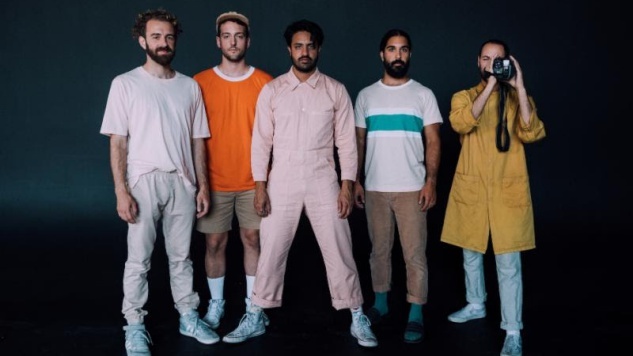 Young the Giant’s new single “Simplify” is the band’s first release since Home of the Strange in 2016. Central to Home of the Strange is the immigrant story—especially relevant to a band in which most members are immigrants or first-generation Americans; on “Simplify,” the band again addresses the impact of society on personal experiences. “Simplify” focuses on pushing past the conflict and buzzing pressures that surround us to see our true selves. “Filter out the noise, focus on my voice and fall in,” Sameer Gadhia sings on the refreshing, light track. Here, it is love and the eyes of another that allow us to see ourselves, without the images of how we “should” live infringing upon our vision. Young the Giant teased tour dates earlier this week and released them Thursday with the promise that more dates will be coming. LIGHTS will be joining the band on tour. Fan pre-sale begins Monday, June 18, with tickets available to the general public starting Friday, June 22. You can buy tickets and find more tour information on the band’s website. Listen to “Simplify” and check out a performance by the band from the Paste archives below. Find their tour dates further down.